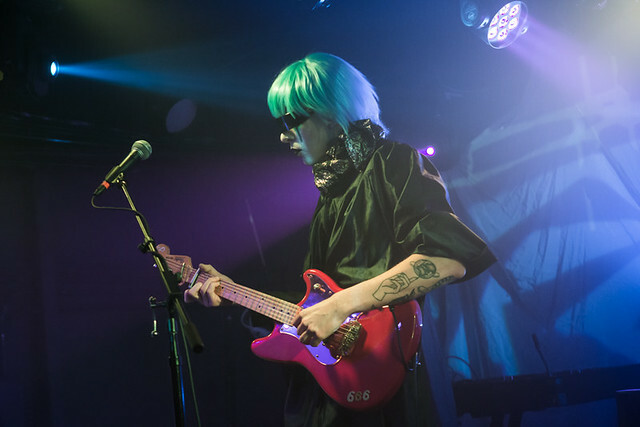 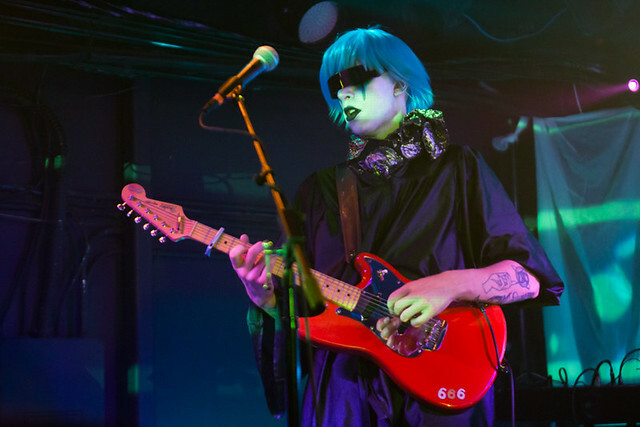 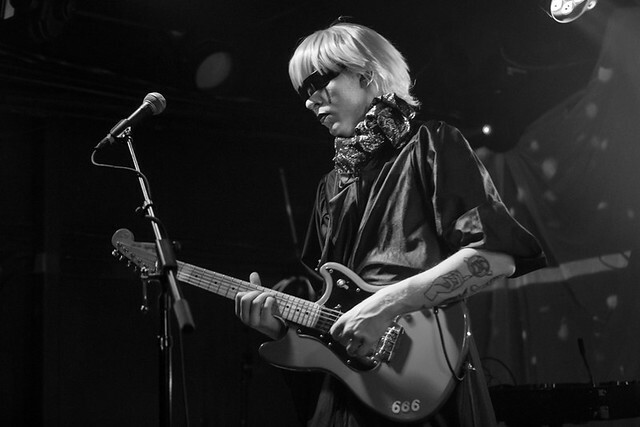 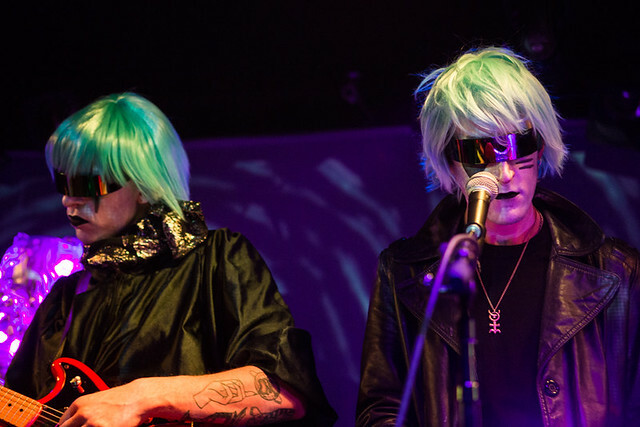 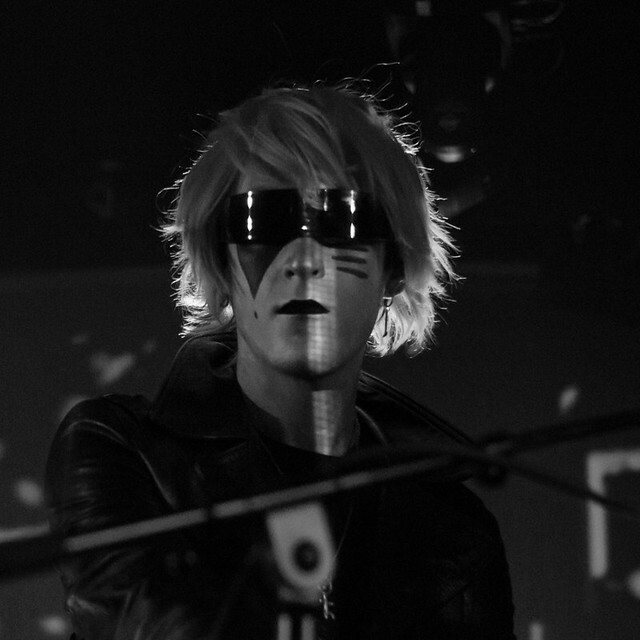 Posted on 01/30/2017 by paivi	in Live Review and tagged Drab Majesty, goth, Los Angeles, Rock and Roll Hotel. 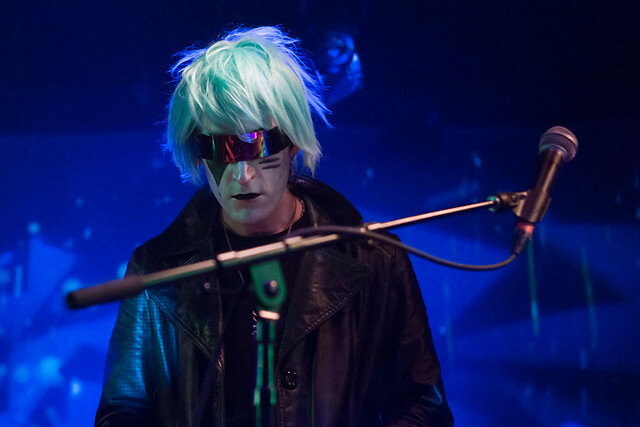 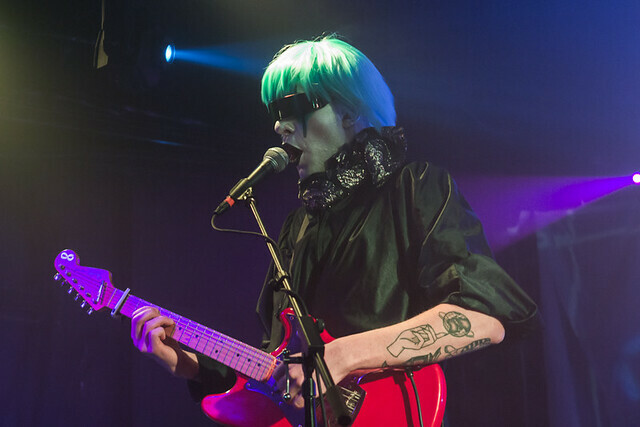 Initially inspired by guitar-driven UK bands like The Chameleons and Red Lorry Yellow Lorry, Drab Majesty expanded their lo-fi sounds to add an electronic component. 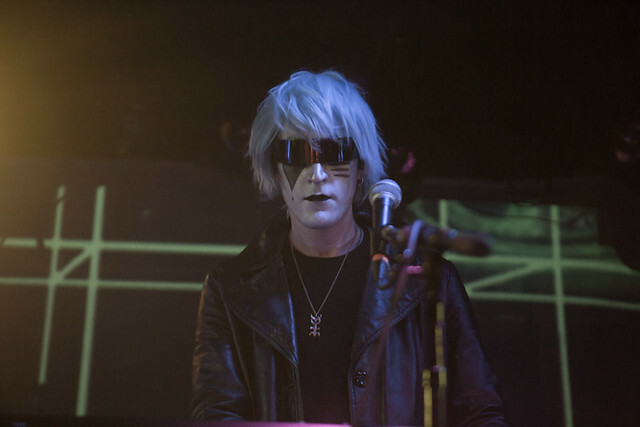 The band released 11 new songs on their latest album, Demonstration, on Jan. 20 via DAIS Records. 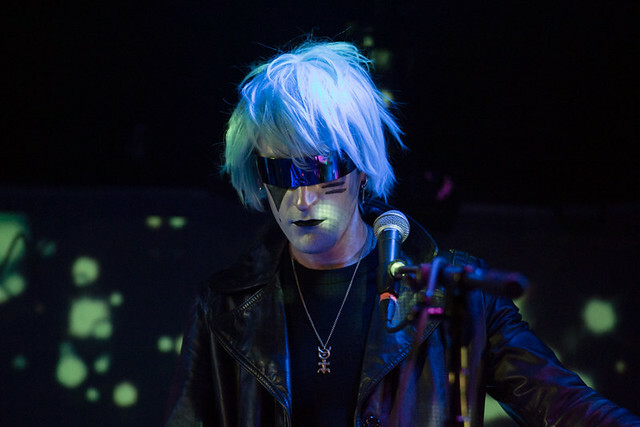 “Focusing on the aesthetics of cult ritual and the devastating power of music, Drab Majesty’s manifesto to humanity was revealed: revel in the power of artistic influences that reside beyond the self,” say press notes on the album.